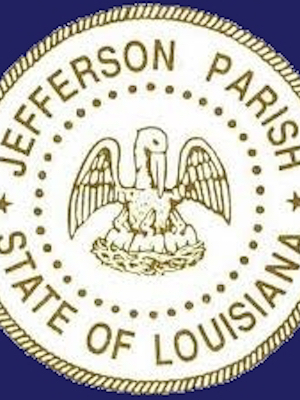 GRETNA – The Parish of Jefferson is being sued by man who claims his lung cancer is due to being exposed to asbestos while employed by the Parish and construction companies. C.J. Mayfield, and wife Dorothy Mayfield, filed suit against the Parish of Jefferson in the 24th Judicial District Court on May 8. Mayfield asserts he was employed by Jefferson Parish from 1950 to 1958, R.J. Lacoste Company from 1958 to 1974 and C.J. Claim Construction Company Inc. from 1974 to 2005. The plaintiff claims that while working for Jefferson Parish and while working on projects on Jefferson Parish projects when working for R.J. Lacoste Company and C.J. Claim Construction Company Inc. he engaged in the installation and removal of underground water and sewage pipes and worked with cement containing asbestos. Mayfield alleges through the work he was exposed to asbestos dust and fibers and in March 2015 was diagnosed with malignant squamous cell carcinoma lung cancer which has been linked to asbestos exposure. The plaintiff further contends the exposure to the asbestos materials was particularly harmful to him because he is an addicted smoker. Mayfield claims that throughout his work with and for Jefferson Parish he was never warned of the hazard of working with asbestos. He further claims the defendant misrepresented and suppressed information about the potential for disease caused by asbestos exposure. An unspecified amount in damages is sought for physical pain and suffering, mental pain and anguish, loss of income, medical expenses and loss of enjoyment of life. Mayfield is represented by Matthew G. Greig of New Orleans-based Didrikson Law Firm.